John William Finn was born in Los Angeles, California, on 23 July 1909. He enlisted in the Navy in July 1926 and was a Chief Petty Officer serving at Naval Air Station Kanoehe Bay, Oahu, Territory of Hawaii on 7 December 1941, during the Japanese air raid that struck that facility and others on Oahu. Chief Finn manned a machine gun and effectively fired on the enemy planes despite the receipt of several painful wounds. 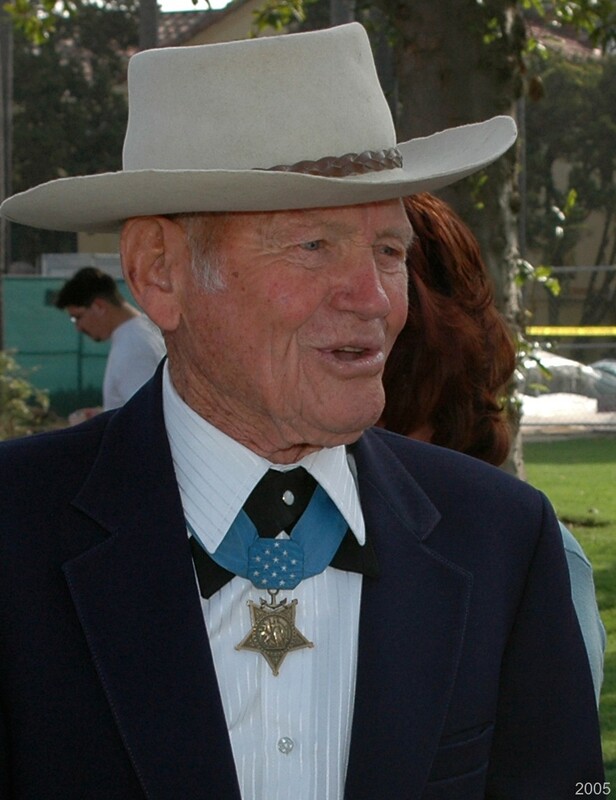 For his heroism at that time, he was awarded the Medal of Honor. In June 1942, Finn was temporarily commissioned as an Ensign, rising in rank to Lieutenant two years later. During his service as an officer, he served with Bombing Squadron 102, at several stateside training facilities and on board the aircraft carrierHancock (CV-19). Following transfer to the Fleet Reserve in March 1947, he reverted to the enlisted rate of Chief Aviation Ordnanceman. In September 1956, he was placed on the Retired List in the rank of Lieutenant. John W. Finn died on 27 May 2010. 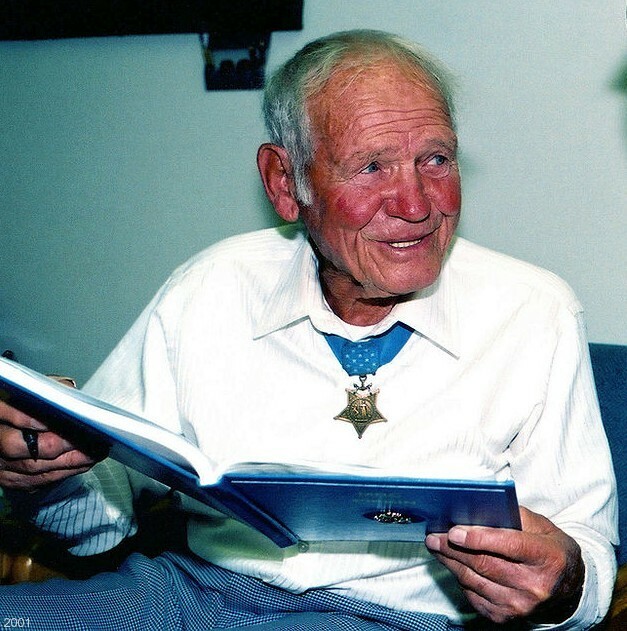 Awards: Medal of Honor, Purple Heart, Navy Good Conduct Medal with two bronze stars, American Defense Service Medal, American Campaign Medal, Asiatic-Pacific Campaign Medal, World War II Victory Medal and the Navy Occupation Service Medal. "For extraordinary heroism, distinguished service, and devotion above and beyond the call of duty. 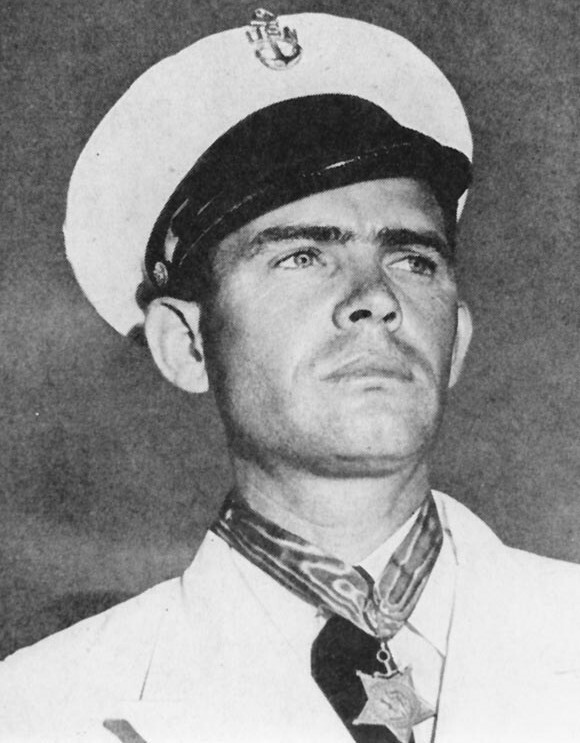 During the first attack by Japanese airplanes on the Naval Air Station, Kanoehe Bay, on 7 December 1941, Lieutenant Finn promptly secured and manned a 50-caliber machine gun mounted on an instruction stand in a completely exposed section of the parking ramp, which was under heavy enemy machine-gun strafing fire. 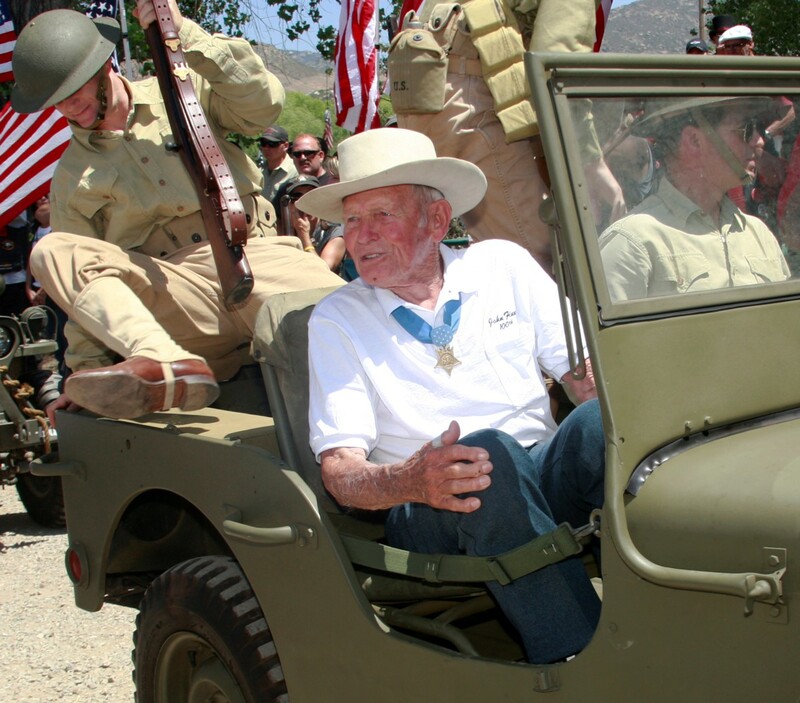 Although painfully wounded many times, he continued to man this gun and to return the enemy's fire vigorously and with telling effect throughout the enemy strafing and bombing attacks and with complete disregard for his own personal safety. It was only by specific orders that he was persuaded to leave his post to seek medical attention. Following first-aid treatment, although obviously suffering much pain and moving with great difficulty, he returned to the squadron area and actively supervised the rearming of returning planes. 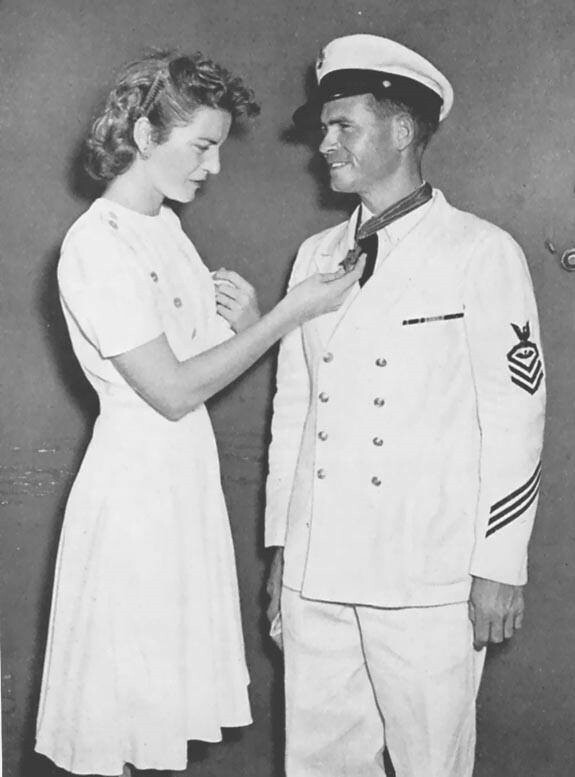 His extraordinary heroism and conduct in this action were in keeping with the highest traditions of the United States Naval Service."